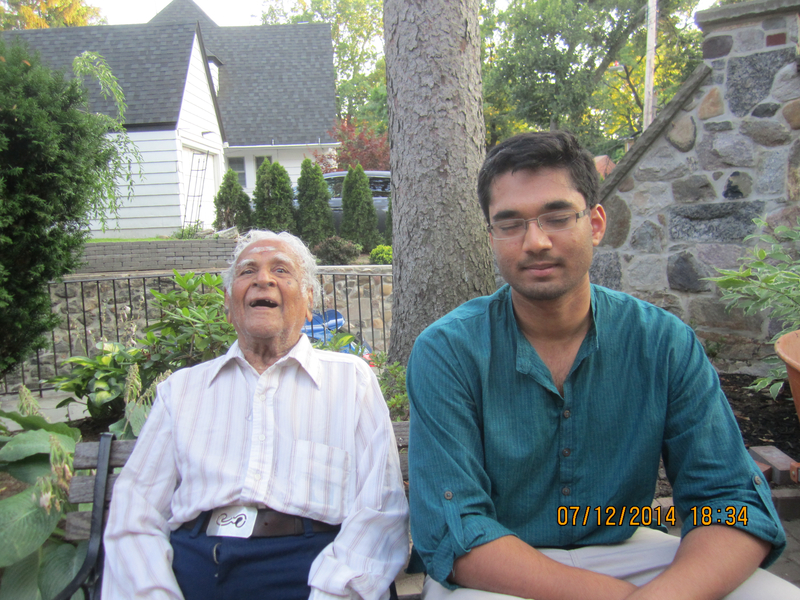 After our arrival, we were introduced to Komal-ji who is around 92 years old. 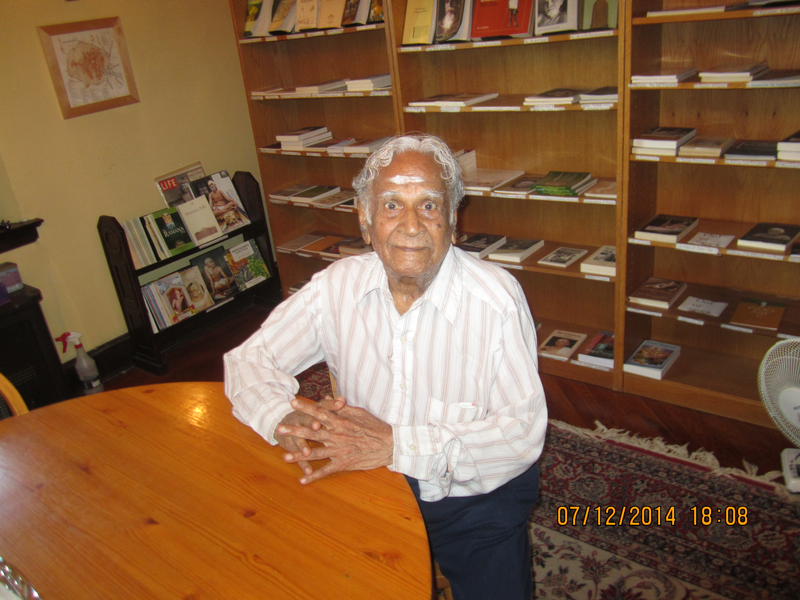 Komal-ji is a Bhagavan Ramana devotee and used to visit Bhagavan between 1940 and 1950. 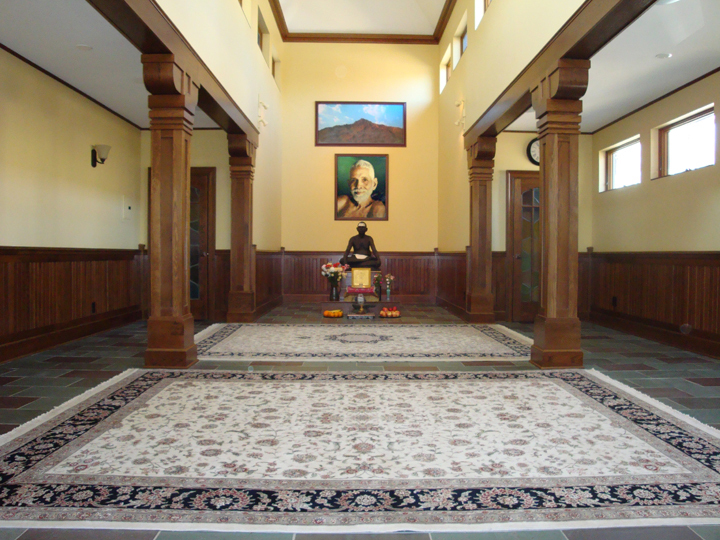 Komal-ji was kind to speak with us and showed us Bhagavan Ramana’s shrine and demonstrated Pradakhina by going around Bhagavan’s statute. 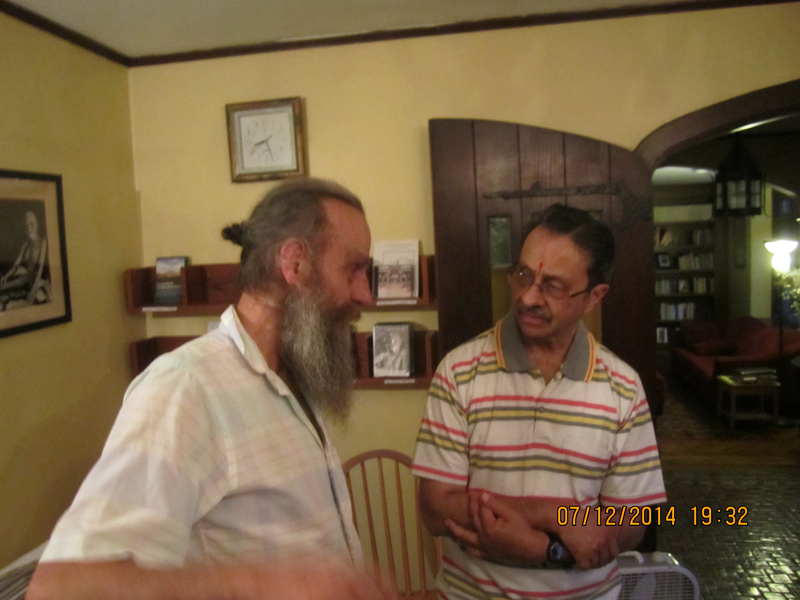 Komal-ji is a warm and beautiful soul and it was quite a privilege to spend time with him. 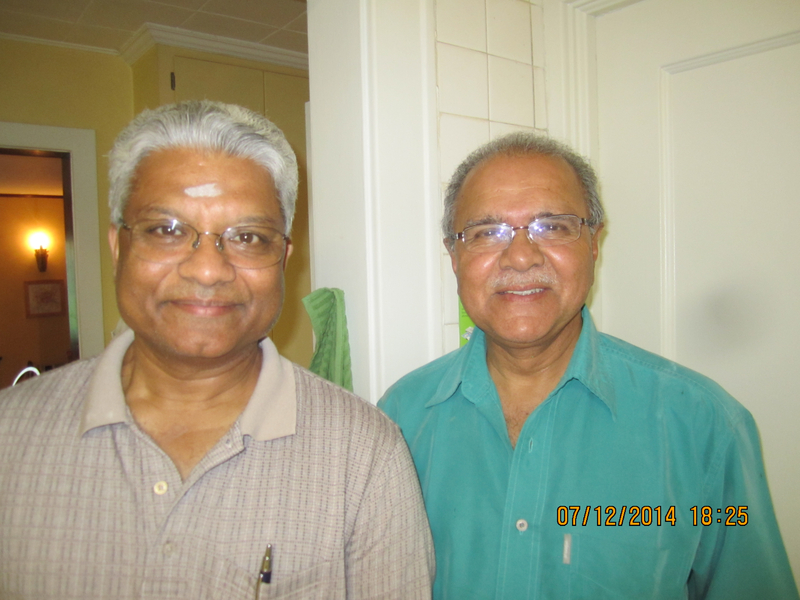 Soon after our arrival, Dr. Ram-ji, whom I knew and had met, also arrived. 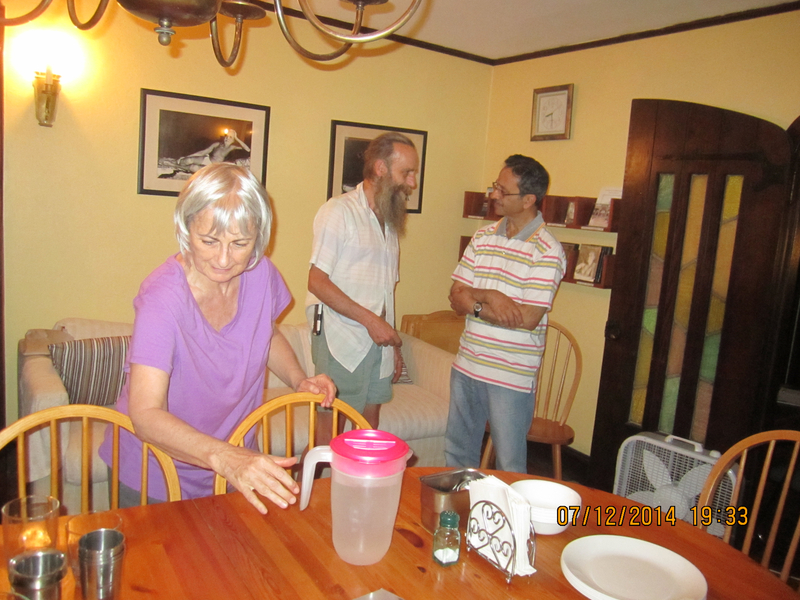 Janet-ji, another Bhagavan devotee whom I had met before, had already arrived a few days earlier. 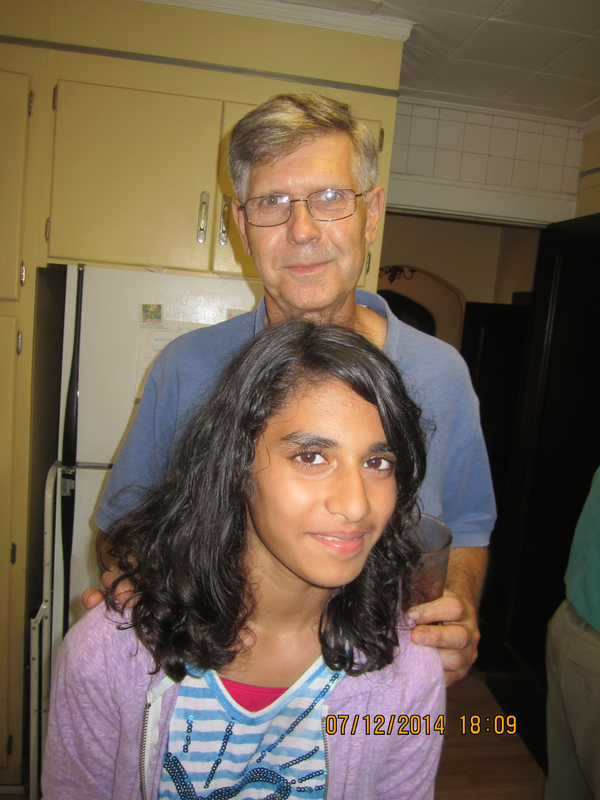 Here are some of the pictures of the devotees who had come from all over the U.S. and Canada for the Guru Purnima at the NY Arunachala Ashram. These photos were taken on July 12. 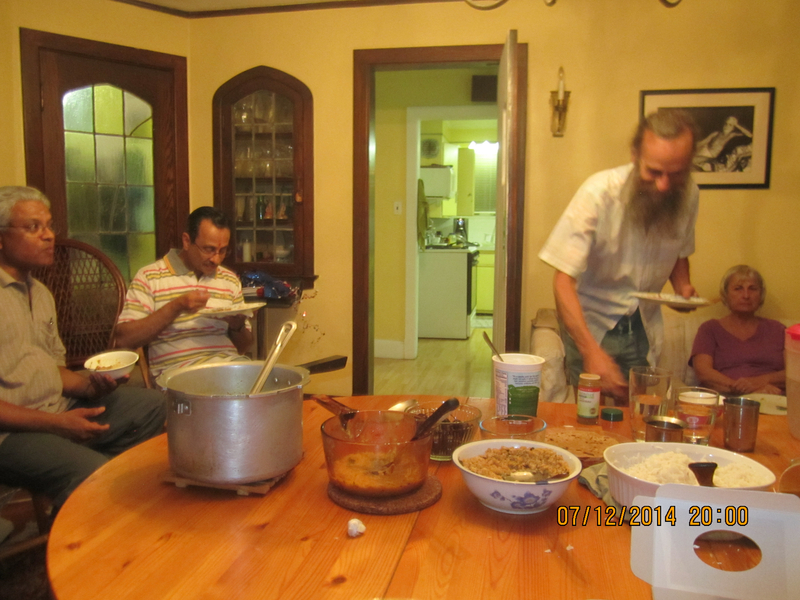 While conversations were ongoing, some devotees started setting up the tables for dinner that Bandhu-ji was cooking. 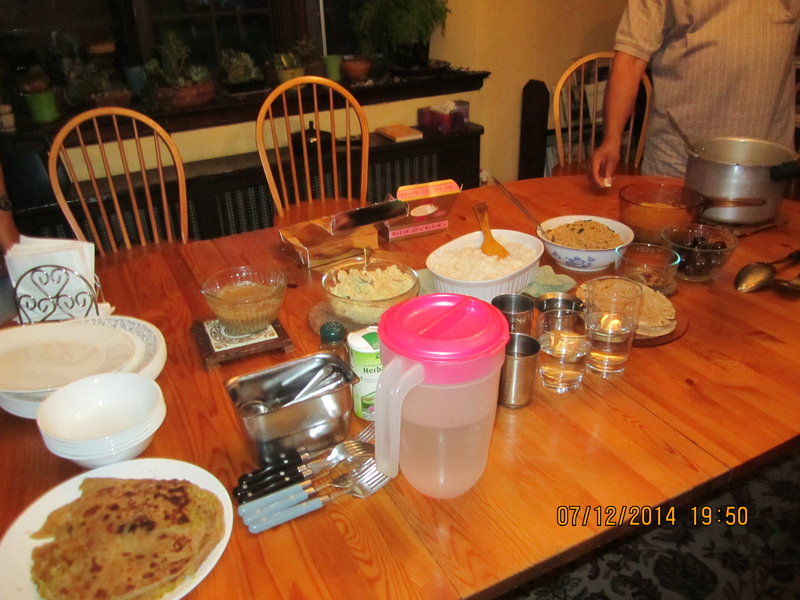 Soon, Bandhu-ji and other devotees had prepared a dinner for all of us. I was quite hungry after a long day of travel. The Devotees enjoying their dinner at the Ashram. 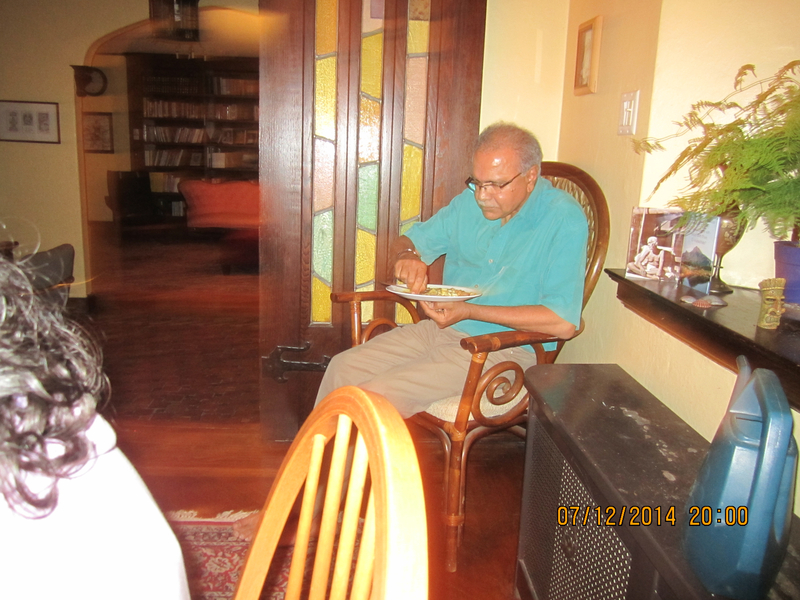 Bandhu-ji sitting down after cooking and enjoying the dinner. Many people went back for second helpings. I went back to the dinner table three times, possibly more. Eating this divine food was most blissful. 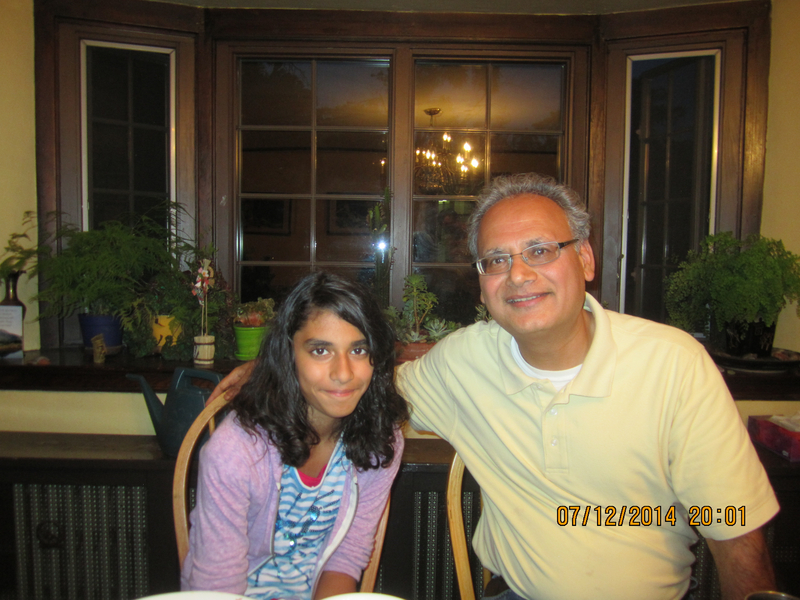 Here, I am posing with my daughter during the dinner. 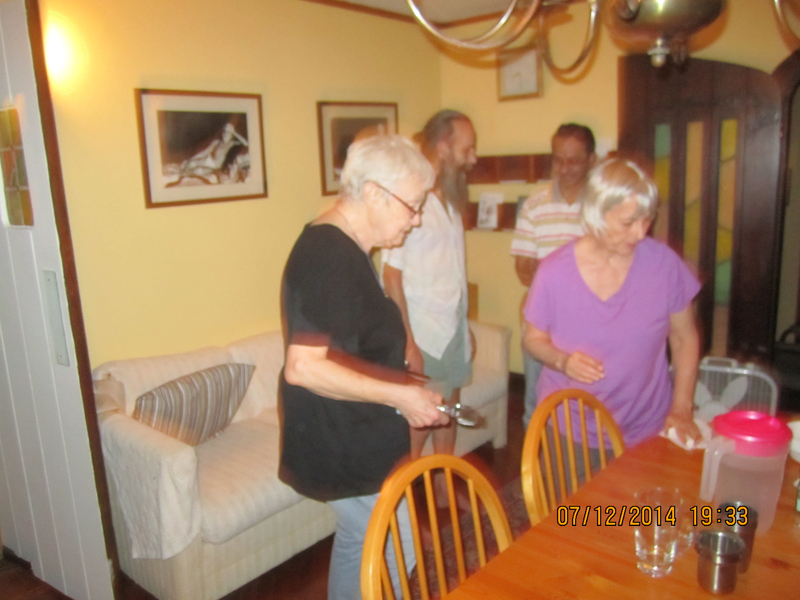 Dinner was followed by puja, meditation, and reading. 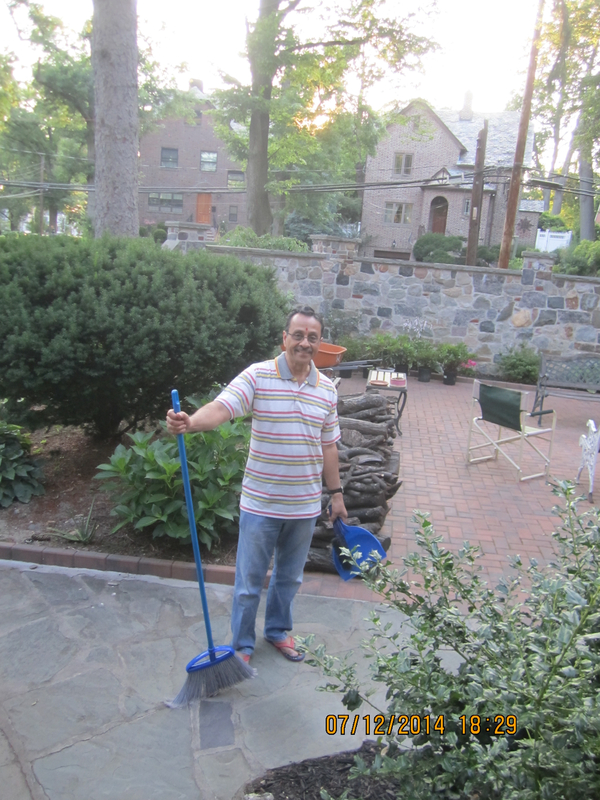 Thus ended July 12, our first day at the Ashram. July 13, the next day was Guru Purnima. I charged my camera at night. 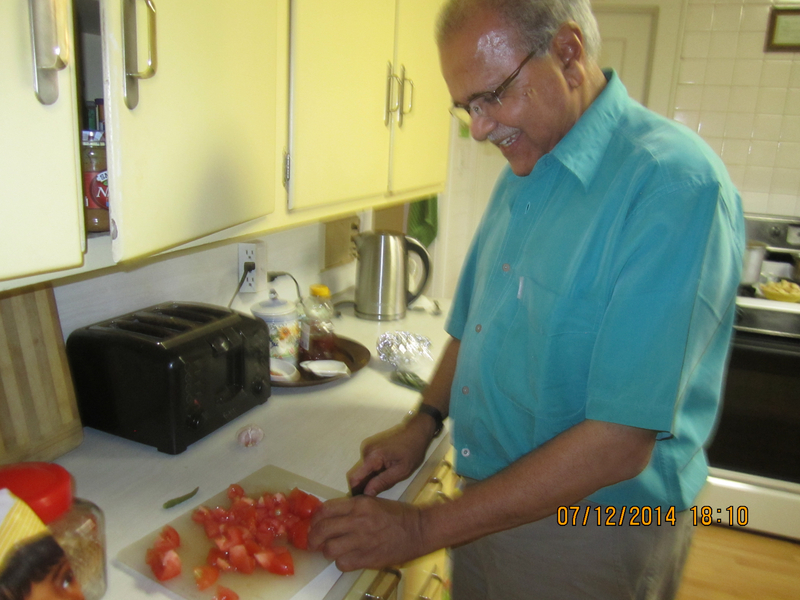 Look for more pictures during Guru Purnima in the next part. Click below. What a great blessing of your daughter to be your daughter and also to be one with Bhagawan’s devotees and satsang Harsh Ji. Very happy to see the pictire of Komal Ji who lived with Bhagawan and now sharing his experiences sharing dinner , meditation etc with you. 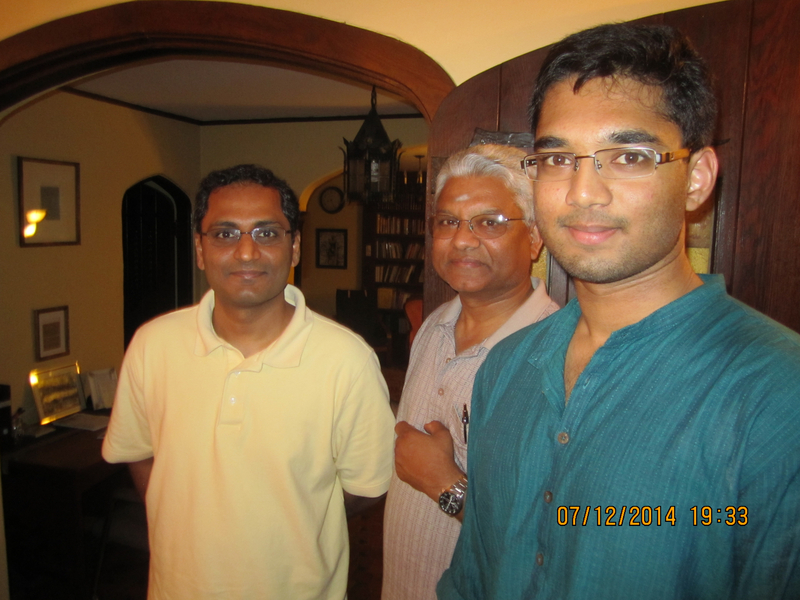 Very Happy to see the pictures of ardent devotees here.Thanks for your awesome sharing. Thank you for your kind comments Sowmya-ji. Satsang with Bhagavan devotees is truly bliss and Bhagavan’s Grace. Thank you so much for sharing this with those of us who couldn’t be there. 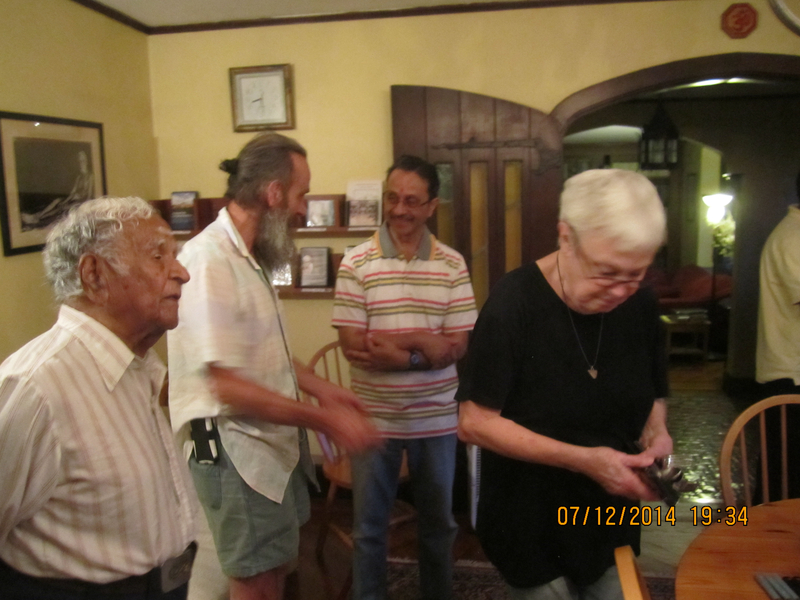 We met Dennis, Margo, and Janet while there on July 11th, and I spoke on the phone with Bhandu-ji. So nice to see his face! 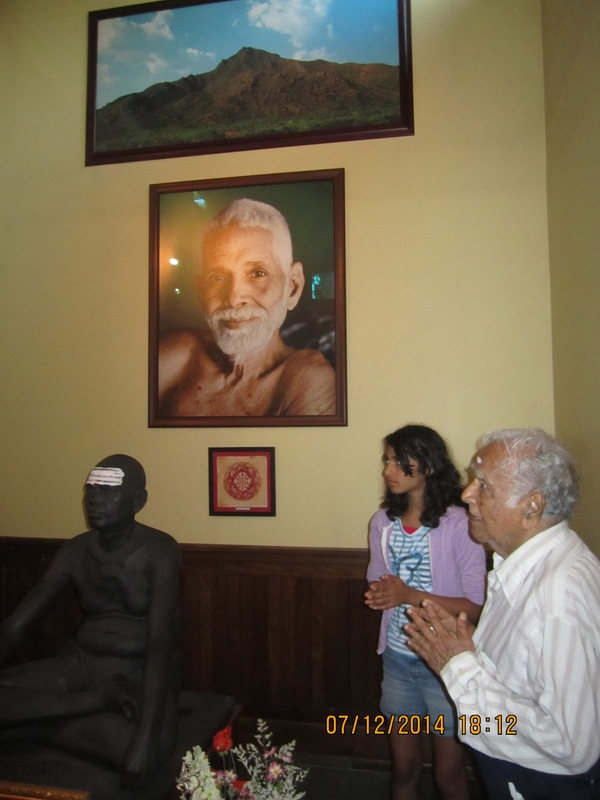 How wonderful to be able to meet Komal-ji, a devotee of Bhagavan while He was still alive!!! 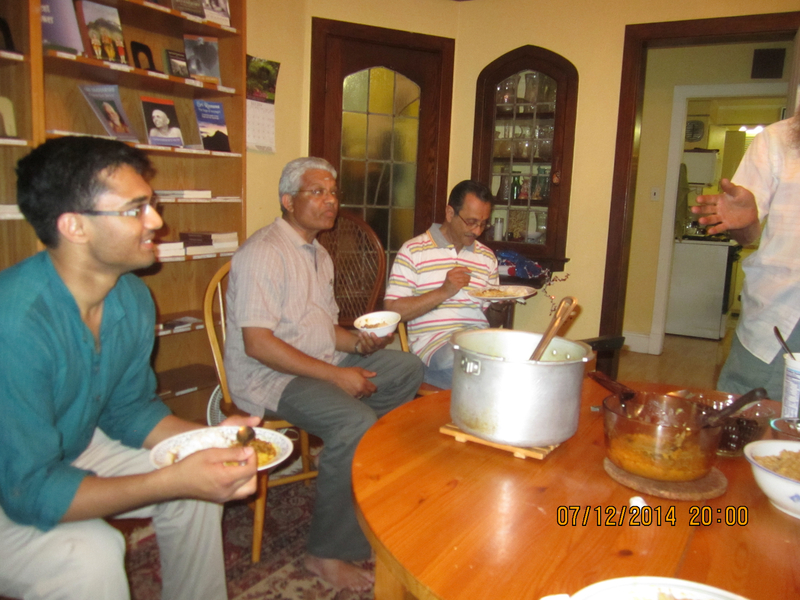 Everything (including food) seems better when surrounded by others who feel the grace of Bhagavan. Your daughter looks like such a sweetheart. Thank you. Being with Bhagavan devotees is pure bliss. Thank you for your nice comment Marilyn-ji.